Ruth O’Regan, MD, is the division chief of Hematology and Oncology in the Department of Medicine at the University of Wisconsin School of Medicine and Public Health in Madison, Wisconsin. She previously was the Louisa and Rand Glenn Family Chair in Breast Cancer Research at Emory University in addition to being medical director at Glenn Family Breast Center of Emory University, and director of the Breast Cancer Translational Research Program at the Winship Cancer Institute. Kate Carlson Wrammert, MSN, ANP-BC, WHNP-BC, AOCNP, is a board-certified nurse practitioner at the McKelvey Lung Transplant Center of Emory University Hospital in Atlanta, Georgia, where she is also adjunct faculty at the Nell Hodgson Woodruff School of Nursing. Ms Wrammert sits on the Jack & Jill Late Stage Cancer Foundation’s Medical Advisory Board, and has presented more than 25 invited lectures on subjects pertaining to breast cancer. Ms Wrammert previously spent 13 years as a Nurse Practitioner at the Winship Cancer Institute of Emory University. 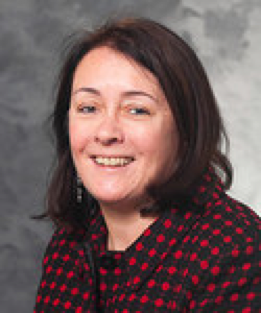 Ruth O'Regan, MD, has affiliations with Lilly (Consulting); and Oncothyreon (Contracted Research). Kate Carlson Wrammert, MSN, ANP-BC, WHNP-BC, AOCNP, has no affiliations with commercial interest to disclose. Elizabeth Paczolt, MD, has no affiliations with commercial interests to disclose. The following PIM planners and managers, Trace Hutchison, PharmD, Samantha Mattiucci, PharmD, CHCP, Judi Smelker-Mitchek, MBA, MSN, RN, and Jan Schultz, MSN, RN, CHCP, have nothing to disclose. This activity is jointly provided by RMEI Medical Education, LLC and Postgraduate Institute for Medicine. This activity is supported by an independent educational grant from Genentech.